If you are having a baby and you are interested in a newborn or baby shoot then you can choose from a one of sittings or you can choose from one of my baby packages. Newborn photography studio sitting at £15. The studio sitting will last around an hour and will include a 8"x6" print. After the sitting you will also be able to view your images and place your order for additional prints. Newborn sittings are taken in my warm relaxed studio based in Scarborough North Yorkshire. Ideally newborn sittings are photographed within the first 10 days of little one arriving. I normally photograph baby in their nappy or naked with blankets over them but you are more than welcome to bring along any little outfits for your new addition. The watch them grow program is a great way of watching your child grow up through their first 6-12 months. Follow your child’s first 6 months with 6 photo sessions for your new born. Starting from either baby bump or your babies first couple weeks. You will receive 6 Free 8″x6″ photos. With our Watch Them Grow Bronze program you get one fun sitting and a FREE 8×6″ photograph every month for a year to capture every step along your child’s journey. If you are pregnant and looking to capture that special moment between you and baby. Then check out my maternity photography section. 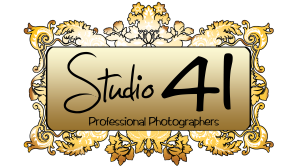 All session are photographed in my relaxed warm studio based in Scarborough North Yorkshire.